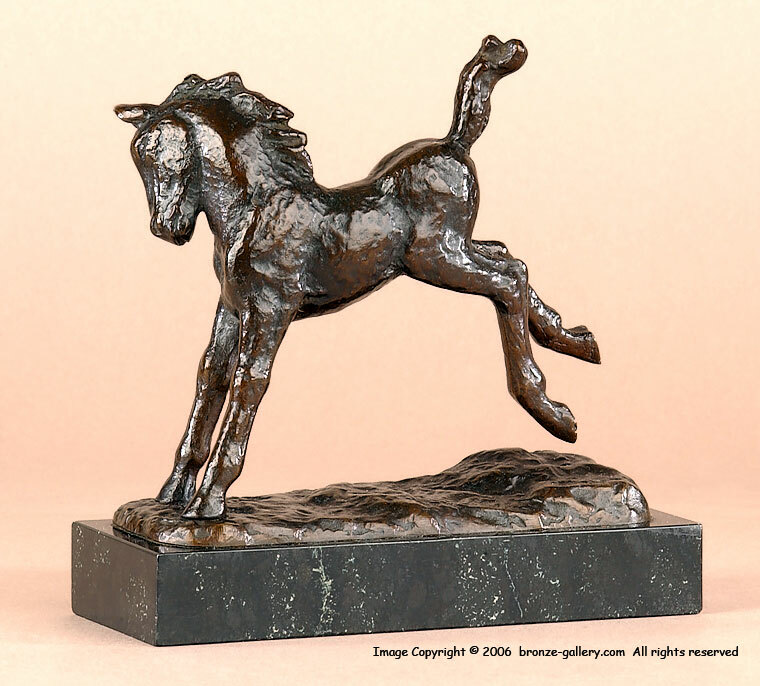 A well sculpted bronze of a Colt kicking up his heels signed Mara by the Czech sculptor Antonin Mara (1877-1946) who specialized in animals. This lively model captures the high spirits of a young horse as he frolics. 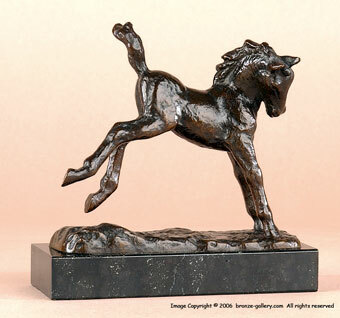 The Colt is mounted on the original 7/8" thick by 5 7/8" long black marble base and has a dark brown patina.